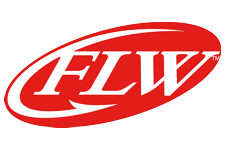 The Junior World Championship is conducted in conjunction with the Forrest Wood Cup each year. 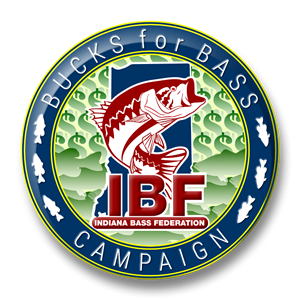 The Bass Federation invites the champion from each state to participate. The anglers fish one day to establish a champion from each of TBF’s divisions. Sledge won the division championship on Friday August 5, at Lake Guntersville besting youth anglers from the Northern Division which includes Indiana, Illinois, Michigan, Ohio, Wisconsin, Minnesota and South Dakota. Scott weighed in a 5 fish limit for 10 lbs. 10 oz. all largemouth on day one. On day two the anglers fished against the other division champions from the Central, Mid-Atlantic, Eastern, Southern and Western divisions. On day two each of the division champions were escorted by an adult boat captain and an observer. The anglers fished by themselves without any guidance, advise or assistance from the adults. At the weigh in Scott Sledge had another five fish limit, four largemouth and one small spotted bass. Scott was the second to weigh in and he took the “Hot Seat”, with a five fish limit of 11 lbs. 3 oz. The next angler up was Fisher Davis son of B.A.S.S. Elite Series pro Mark Davis. Fisher also presented a five fish limit besting the field with 12 lbs. 15 oz. No other Division Champions were able to catch more than three fish. Fisher Davis won a $2,500 scholarship from TBF and the championship trophy. Scott Sledge stated all of his fish except one for the two days came on a green pumpkin “Stupid Tube” from Honey Creek Tackle in Bargersville Indiana. The first keeper of the first day came on a frog on the main river mat. The remaining fish came off current breaks around bridges. Scott says he also relied on his Denali Custom rods and Lew’s reels throughout the tournament and he was the only angler to weigh a five fish limit both days. All of the 37 participating states sent their champions for day one. Each of the State Champions were recognized on stage at the Forrest Wood Cup before the day three weigh in. Scott Sledge had previously qualified for the 2014 Junior World Championship by winning the State Championship in 2013. The results of the 2014 event were not a good as this year’s 2nd place. Scott was proud to represent the Indiana Bass Federation this year and wanted to thank all those who support him including his family, Brad Zellers the IBF Youth Tournament Director and Kelly Hook the IBF President who attended the tournament. Preparing for take-off day 1. Day 1, boat captain Betty Stahl, Alex Torek of Idaho and Scott Sledge at take off. On day 2 each of the Division Champions were picked up and driven to the lake in matching TBF Suburbans. Each of the anglers got VIP treatment and met some fishing legends. Scott with Forrest L. Wood The Founder of Ranger Boats. Day 2 boat captain Bryan Wright and Scott. Day 2 all of the Division Champions at the tank. Day 2, Scott weighs in a five bass limit for 11-03 moving him into 1st place. Day 2, Scott with his two best. Scott on the HOT SEAT being bumped by Fisher Davis of Mt Ida Arkansas. Five bass for 12lbs. 15 ounces. Kelly Hook the Indiana Bass Federation President came to the weigh in after the TBF president’s meetings. Scott Congratulating Fish Davis on his World Championship. Fishing Legend Hank Parker interviewing Scott at the Forrest Wood Cup weigh in.